In a world full of screens, we forget to look up and make eye contact, and then use our breath to create words, and our ears to listen. I like the simplicity in the book! It come from a Buddhist perspective, but it’s open for everyone to take in and learn from and use. My favorite part that resonated with me was the one on Being Kind. For the simple reason that it is just nice. Especially now in a world full of uncertainty…..being kind as a base for all decisions is a damn good idea! I think anyone would enjoy and have something to gain from reading this book!!!! See below for pictures! This cookbook was an ultimate pleasure to read through and use. Now mind you it does not have any pictures. Sometimes that can throw people off, but I like the fact that I have no visual expectation to live up to! It’s all about the process and then the feast! This is all vegetarian, but I can see adding meat to various recipes where I need to as well. 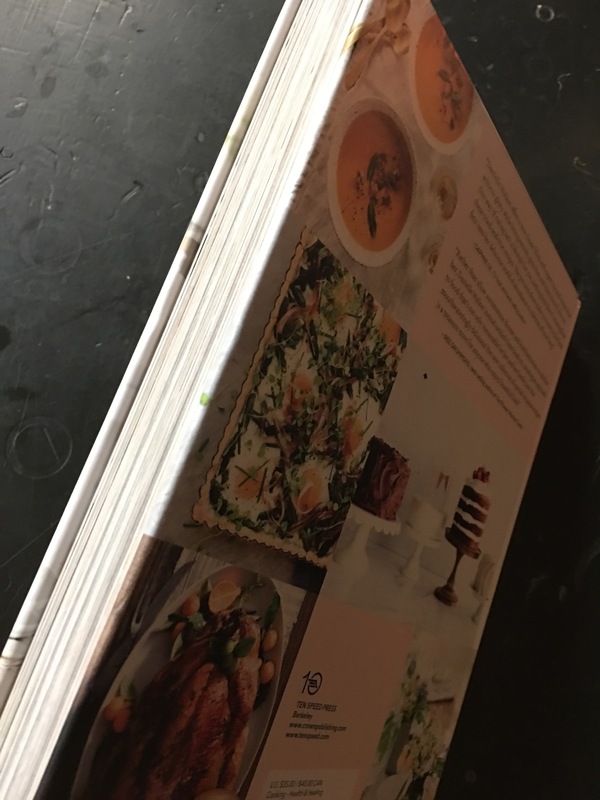 Here are the table of contents: Intro, Pantry Notes, Some Useful Tools, table of Conversions, Soups, Salads, Sauces and Dips, A Few Baked Things and Sandwiches, Entrees, Desserts, Index. There is a wide variety of recipes and tastes throughout! From a dish called Satyamma’s Famous Cauliflower Curry to HErbed Carrot Soup, Pepper and Oninon Shortcake, Lentil-Walnut Burgers and Cardamom Coffee Cake! I made the simple Guacamole recipe, using the recommended augmentations to make is a bit more flavorful……It was gone just like that!!!! One day I hope to travel and visit Moosewood for reals, but until then, I can enjoy their recipes right here in my own home with this staple cookbook! Hope you can find the time to try some of these out yourself! Cheers! More about the author Mollie Katzen here! Having once met Elsie at a Los Angeles scrapbook convention, I have always admired her work. So when I found out she wrote a book with Emma Chapman, I had to check it out! Both Emma and Elsie have the blog A Beautiful Mess, that if you get a chance to look at, you will be filled with amazing creative spirit! 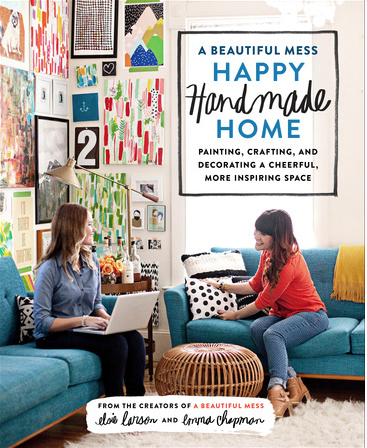 The book, A Beautiful Mess, Happy Handmade Home, Painting, Crafting, and Decorating a Cheerful More Inspiring Space, delivers their unique style for you to pour over! It’s divided by titles of spaces in a home….living room, play spaces, outdoor spaces, etc. You will find something to create for each part of you home. 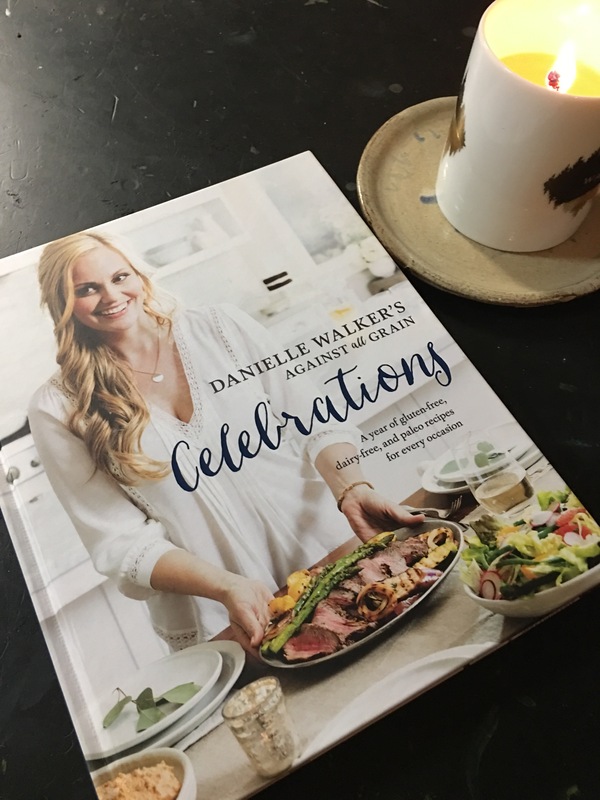 But what inspired me most about this book were the quick easy sections on hosting themes parties…I love this! 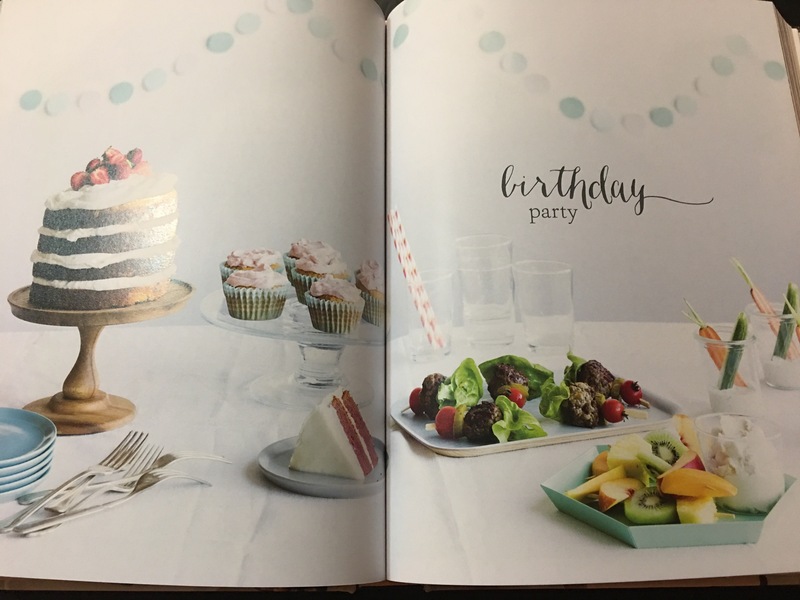 For example, the chapter titled, Celebrate, Birthday Cocktail Party. This included a yummy drink recipe and then several ideas with pictures for inspiration. I was surprised by how thick and sturdy the book was too…the pictures are all in color and the pages are thick quality, making it easy to turn to the next bit of genius! This will be a goto book for me when getting inspiration for our house, future parties and simply creating! You will be thrilled too! Now get out there and create! I hope to post some finished projects here from this book!